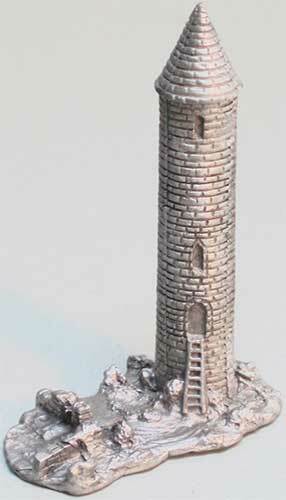 This miniature Irish round tower is a pewter replica of 10th century design located at Devenish Isle. 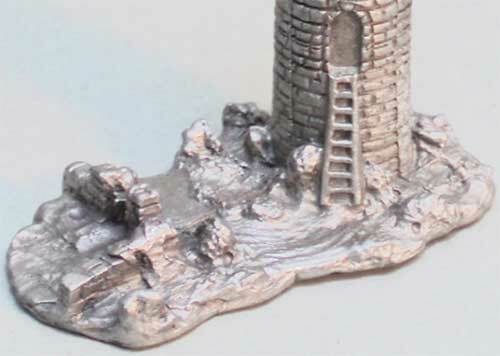 This Irish round tower is a miniature that is cast in fine pewter. The miniature Irish figurine features great detail and measures 1 5/8" long x 7/8" wide x 2 1/4" tall. A brief history of the Irish tower is embossed on the base bottom. This pewter Irish round tower is made in the United States; it is gift boxed, complements of The Irish Gift House.